Formative Assessment Goodness ~ No Limits on Learning! Several years ago, I started to up my formative assessment "game," so I wanted to share a few things I learned. 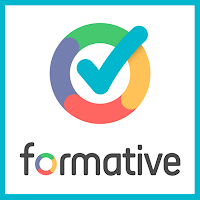 I slowed a bit on my alphabet journey for #ReflectiveTeacher, but I'm back on track with formative assessments. Summative assessments are like autoposies, and formative assessments are wellness check-ups. If I start assessing my students' learning on the day of the major test, then I am too late. I need to conduct frequent formative assessments throughout the class/day/unit, and adjust my teaching as a result of these check-ups. The other big point (that only took a year or so to get) is the last part of the previous sentence: adjust my teaching. Oh yes, I jumped in on the exit ticket bandwagon, but sadly, I didn't always look at the students' responses until days after the assessment. [sad face!] That was too late! I needed to immediately take actions on the students' questions, comments, and (mis)understandings. I love that technology helps with the efficiency of these quick formative assessments. Whether it's a Google form, a game-based tool (like Kahoot) or a more low-tech tool like Plickers, these resources make it so quick for teachers to get real-time results and feedback on their students' learning. I found this great blog post by @mpilakow, who created a very informative chart to compare several student-response systems. 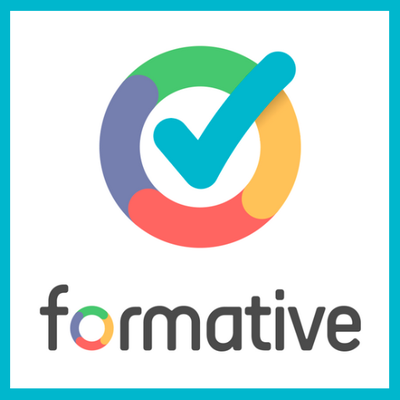 One of my new favorite tools on the scene is Formative. As a math teacher with a few iPads and smart phones, this tool was an awesome addition to the growing list of student-response systems. I LOVE that students can respond by writing their responses to show all of their work on the screen! I LOVE that I can import an image of a coordinate plane and have students graph their answers on the grid! When I've demonstrated this tool to teachers, they have all oohed and ahhed about its functionality. My favorite non-tech tool is the good ol' hand gesture fist-to-five strategy. "If you have no idea what I'm talking about, show me a fist. If you could teach this concept to another person, show me a five." I can't remember where I heard the tweak of 5 = teach to another person, but that really helps make the distinction about giving yourself a five. I could tell this strategy became the norm in our class when students started using phrases such as, "I'm only feeling about a three on this concept, so can I come see you for tutoring in the morning?" During class when I started having "workshops" (small tutoring groups) on a particular concept, I let the students know, "If you feel like you're still a two or three on this objective, I'll be at the table in the back of the room in 10 minutes to answer your questions." This strategy works with adults too, and I ask the same type of question on a pre-assessment or as an intro to the session. In Google Forms, I can use the linear scale question type, or I revert to the hand gestures, just like with the students. At the end of class (or a presentation for teachers) I ask students to reflect: "If you felt like you were a fist or one at the beginning of class, did you move to at least a three? If you were a three when we started, are you now a four?" If you're really into assessments and use Flipboard, I've curated an entire magazine on Assessments, and I share my favorite blog posts, tools, and other resources. So now on the more reflective side: I hesitated to write this post (guess that's why there was such a delay) because there are so many great things already written about formative assessments and feedback, whether you want to know the brain research, the strategies that impact learning, or the newest tech tools to help...so what does this post add to the plethora of information already out there? I know, I know...blogging should be about reflecting, learning, and growing as an educator, and writing this post certainly helped with that idea. Now when I'm training teachers, I will go into a tad more depth about the purpose of the pre-assessment, the first-to-five, and any other assessment we try during the session. Make the strategies more transparent. Good lesson for me. The other good thought: I work with teachers who have such a wide range of levels of "tech expertise," so these resources for formative assessments are great entry points for teachers who are trying to introduce technology into their classrooms...and used thoughtfully, these tools can impact teaching and leraning. The tools are easy to set-up, they are mostly device agnostic, and they definitely help with the efficiency part of collecting information to inform the teaching decisions.